I was invited to be a part of the Netflix Stream Team, which means I am going to watch all the things. 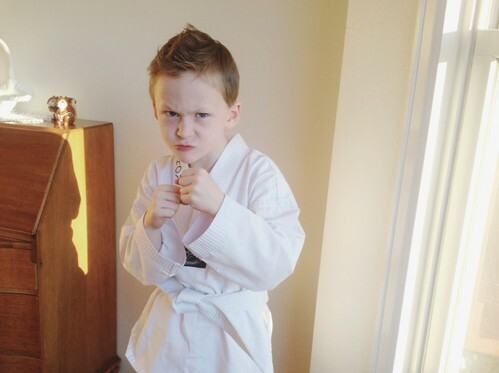 My six year old recently started taekwondo and my only regret is I didn’t sign him up a year ago. It has been the best thing for him because sometimes six year olds can have a bit too much energy and sometimes aren’t the best listeners. Martial arts? Helping on both fronts. He goes three times a week and serious student is serious. 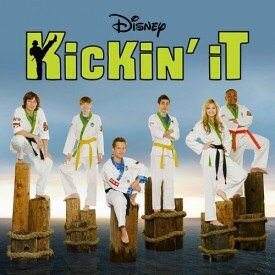 To celebrate Troy’s major milestone of taking up a new sport, we started Disney’s Kickin’ It on Netflix. 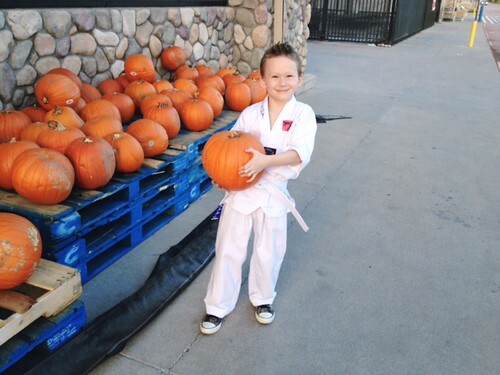 The show, which was developed by a former writer/producer for 3rd Rock From The Sun, centers around a group of kids that study martial arts at the (wait for it) Bobby Wasabi Martial Arts Academy. Kickin’ It actually weaves in an important message about friendship into each episode, well, at least most of Season One does that we have watched so far. He knows he only can watch an episode after he completes homework, practices taekwondo, and finishes his chore of the day. Or after he’s gone to class and then to the pumpkin patch Wal-Mart and helped me with all the shopping and carried groceries and was the best helper ever and THE CUTE IT BURNS. I am part of the Netflix Stream Team and once a month I will post what the kids and I are watching. Spoiler Alert: I am watching Gilmore Girls starting with Season One. MY HEART IS FULL. When I had my first child in 2001, my midwife never asked if I would like to collect my daughter’s cord blood. I didn’t even know it was a thing and I’m sure I would have politely declined at the time. I was too busy trying to plan a home birth and figure out how to actually take care of a baby by watching all the episodes of Baby Story on TLC because this was crunch time. 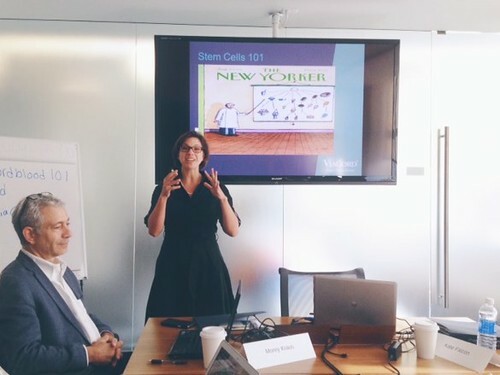 I was recently invited to NYC to attend a presentation from ViaCord and learn more about cord blood banking and emerging treatments using cord blood stem cells. ViaCord is a leading private family cord blood bank that has been providing high-quality stem cell and tissue preservation service to families for 20 years. They are dedicated to advancing the science of cord blood stem cells – that’s why they collaborate with leading hospitals and researchers across the country. I’m going to break this down for you because it is a ton of info. Cord blood banking is the process of collecting and storing your baby’s umbilical cord stem cells for potential medical use. 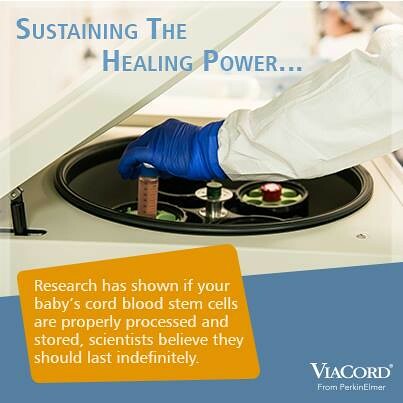 Today ViaCord is the leading provider of cord blood stem cells for transplant or infusion. Once your baby is born, your healthcare provider collects the cord blood and cord tissue stem cells, and they are transported and stored at a ViaCord facility in Kentucky where you can access it any time for treatment. What can be done with cord blood stem cells? Cord blood stem cells are used today in the treatment of nearly 80 life-threatening diseases, including genetic disorders and cancers2. You can see the full list of diseases here. Typically, these treatments require a donor transplant, such as from a sibling. As of today, over 30,000 cord blood transplants have been performed worldwide. What type of research is being done with cord blood stem cells? This is the part that I find absolutely fascinating. Clinical trials are being conducted to test the utility of a child’s own umbilical cord blood stem cell infusions to potentially treat autism, cerebral palsy, and Type 1 Diabetes. Stem cells from cord tissue have the power to regenerate other cells, as well as, structural and connective tissue. Now, I will try to explain this as basically as possible because I am basic: Type 1 Diabetes is an immune disorder where something in the body attacks the pancreatic cells that produce insulin therefore the person is dependent upon insulin that they must inject and also perform blood sugar tests multiple times daily to monitor their numbers. Now, this was being done early in the Type 1 diagnosis during the “Honeymoon Phase”. This is the phase after diagnosis where your pancreas still produces some insulin and you still have some control. My daughter was diagnosed with Type 1 Diabetes five days before her tenth birthday and her Honeymoon Phase lasted around nine months; she took a very minimal amount of insulin until her pancreas completely went on strike. ViaCord is also working closely with the Diabetes Center of Excellence (UMass) and currently investigating the use of cord blood and cord tissue in treating Type 1 Diabetes in children. I think this is so excellent and gives me tremendous hope in regenerative medicine and how it could potentially alter the course of this dumb disease. Check out Parent’s Guide To Cord Blood, it’s a fantastic site to learn more about cord blood banking, donation sites, and research.